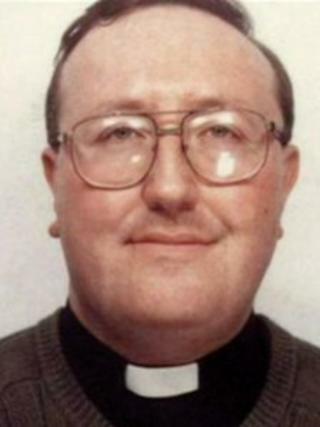 A conman who posed as a vicar and tricked Merseyside charities out of about £90,000 has been jailed for five years. George Gordon, 52, of Chancellor Court, Toxteth, Liverpool, earlier admitted 20 counts including fraud and obtaining money transfers by deception. He conned groups into giving him money for projects that did not exist, Liverpool Crown Court heard. Judge Stephen Everett said his audacity "takes a person's breath away". Gordon, who called himself "Reverend Gordon" after obtaining an "ordination" certificate from a US website, obtained the money by applying for various grants from the Merseyside Disability Foundation (MDF). He used fake names and signatures to falsely represent existing community groups or invent organisations, the court heard. The conman, who was previously jailed for similar offences, then siphoned off the cash and used part of it to buy his flat. Gordon was so highly respected he became a member of an MDF panel which allocated funding and he sat on panels which determined his own fraudulent applications, the court heard. Judge Everett said: "You pleaded guilty to a callous set of offences of dishonesty, the audacity of which takes a person's breath away. "You posed as a responsible and decent individual. You clothed yourself with an air of respectability and trustworthiness. "In doing so you used that false cloth, that veneer of respectability, to dupe a number of honest, decent and vulnerable persons to achieve your dishonest aims. "And your dishonest aims were simply to get money for your own ends."